Gold is the metallic of the season, perfect as the star of the show or as an accent. 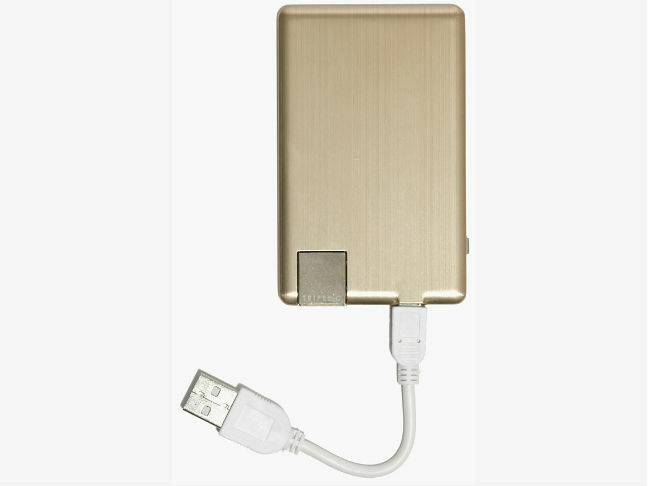 Here are 10 gorgeous gold accessories that won’t bust your budget—they’re all under $100! 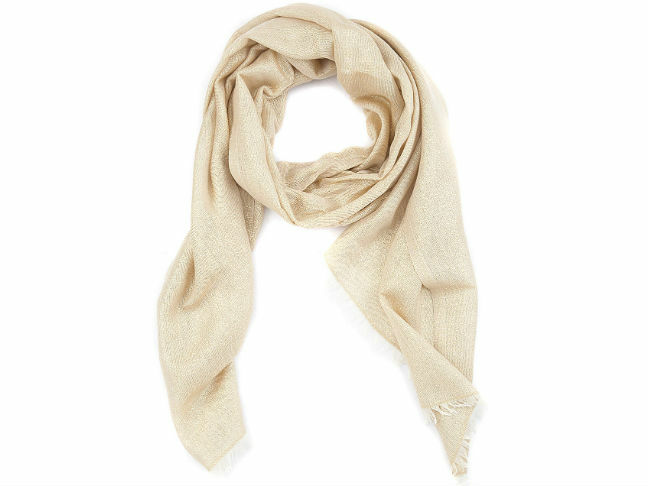 Make the most of scarf season with one that elevates your cold-weather looks to the next level, like this solid metallic evening wrap by V. Fraas ($28). A glint of gold dresses up more than just your favorite LBD—it’s also a chic companion for a jeans-and-blazer combo on a brisk fall day. 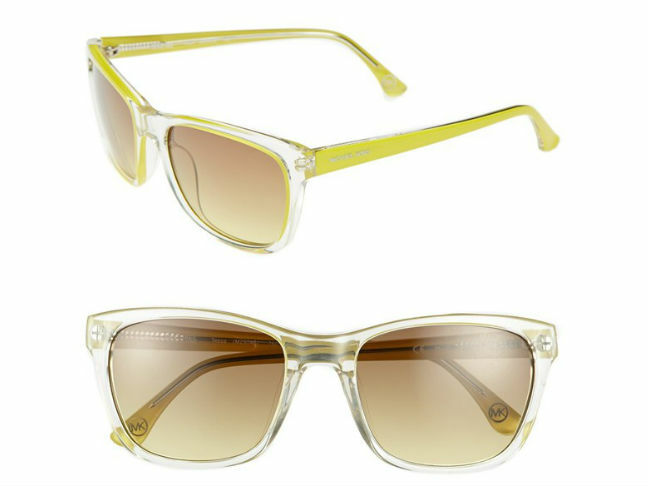 Combat the harsh glare with a pair of slick sunnies, like the glorious Tessa ($99) from the MICHAEL Michael Kors collection. Featuring retro-inspired, translucent frames, they bring a little pop of playfulness to your look and make it so easy to rock gold every single day of the week. 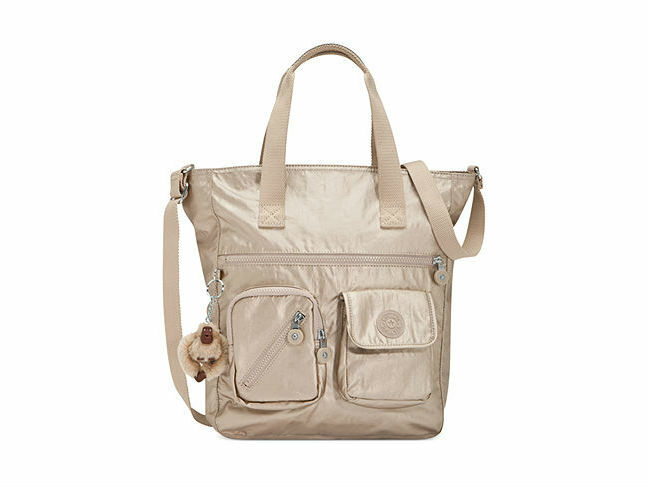 Busy moms know the importance of organization—and even the smallest details, like the multiple pockets found on the golden Kipling Joslyn Tote ($80.99), help immensely. Use them to store your own essentials (loose change, keys, phone) and your little ones’ valuables, too (think rattles and pacifiers). It even includes a cute monkey key chain! How to wear gold 101: Opt for a less yellow-toned version of the hue, and shy away from overly metallic finishes that make you look like an Academy Award. This trench coat from Vince Camuto ($79.99) nails it, from the just-right sheen to the classic silhouette. With holiday parties galore on the horizon, now is the perfect time to invest in a key accessory that you can wear throughout the season. 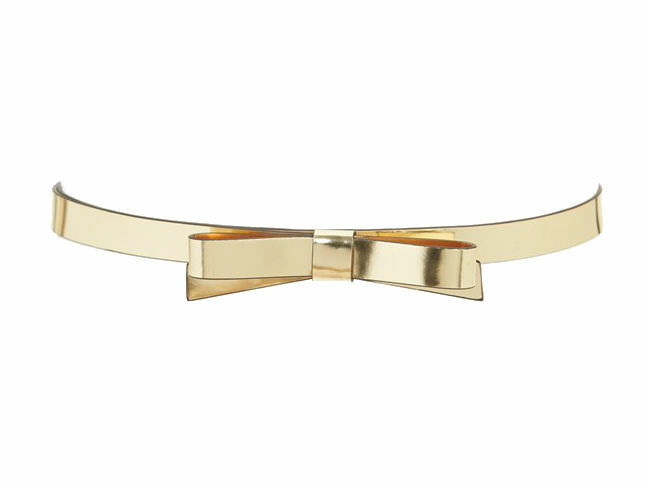 The Kate Spade Bow belt ($78) is just festive enough, yet manages to appear all glammed up at the same time. 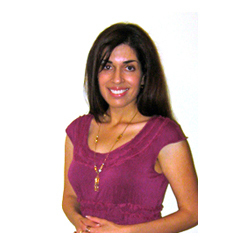 Use it to cinch a shift party dress or add definition to a sleek cardigan and pencil skirt at the office. Every woman needs that one special piece that makes her feel like a million bucks. Make this Aqua metallic skirt ($68) your new go-to and revel in its versatility. The flirty silhouette makes it the ultimate party skirt, but even this shade of gold can be toned down easily—throw on a simple tank, a denim jacket, leggings, and flats for a fresh, downtown-chic look. The nineties fashion revival is alive and well (ask yours truly, who recently felt compelled to wear a baby-doll dress over leggings #sorrynotsorry), but few have translated to present day as well as the ear cuff. 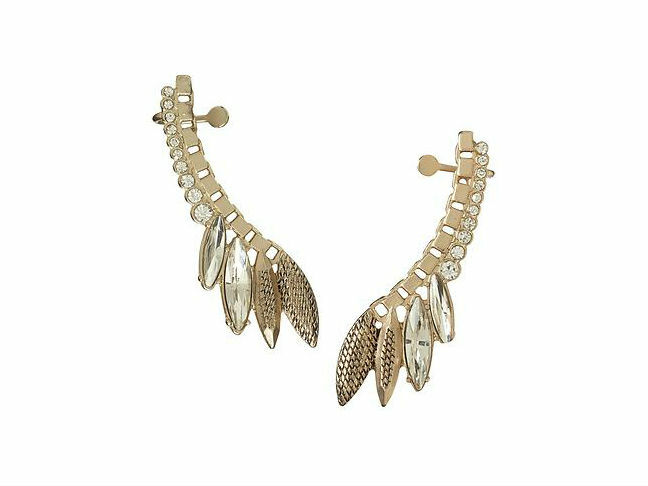 There’s something effortlessly edgy about the Sam Edelman Navette ear cuff ($50). It sparkles a bit and feels more posh than punk, and is perfect for dressy and casual moments alike. Low-key gold clothing isn’t really a “thing,” but this Simon Jeffrey sweater ($48.10) somehow makes a case for classy casual. The backdrop is more of a soft beige, while the flattened gold studs add a little flash to the festivities without (surprisingly) stealing the show. Wear it to work, to dinner, to the movies, and feel a little more pulled together on those less-than-stellar days. Behold the magic of gold! The trick to pulling off gold in any situation? 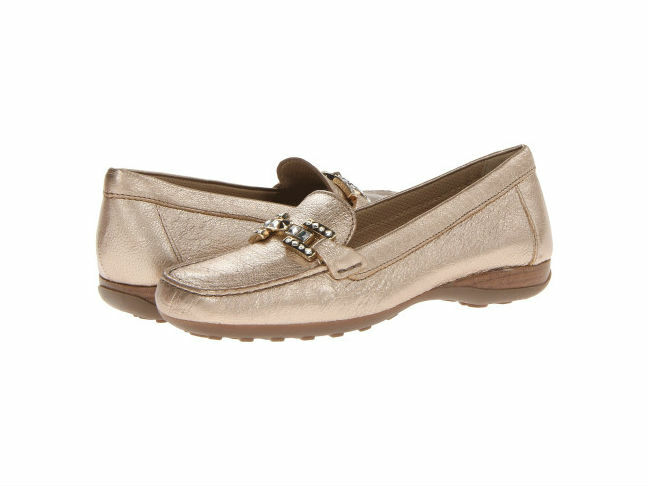 Opt for a small scale piece that won’t overwhelm the rest of your look, like these Geox D Euro loafers ($81.99). Incredibly comfortable, they dazzle with rhinestones at the vamp—and somehow still manage to look right at home with everything from corporate to casual attire.